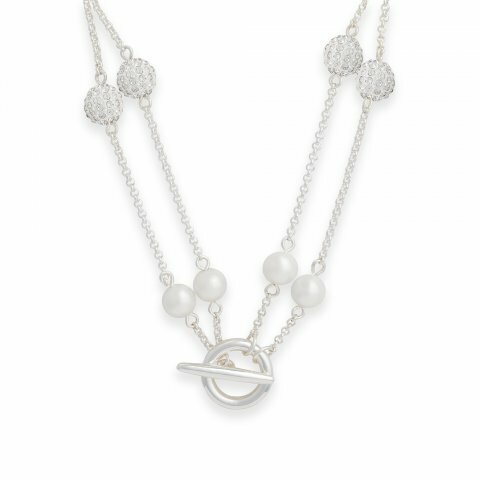 The soft sheen of pearls is paired with crystal pave balls on a fine rolo chain to create a look that's both timeless and new. Add a 12mm Dot to any of our Necklace Drops and clip it on the circle link to add more color and style. Can be worn doubled for a shorter look or single for a longer length.